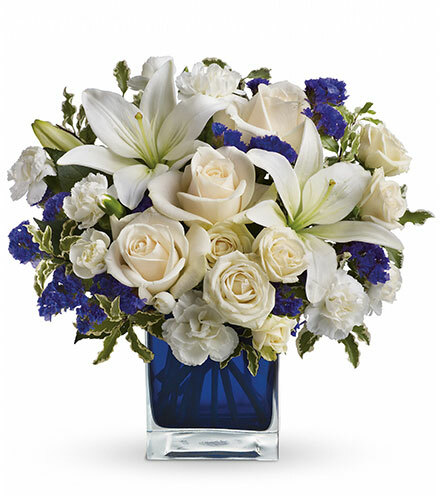 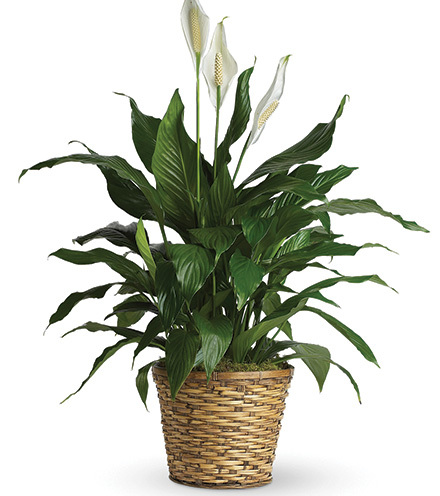 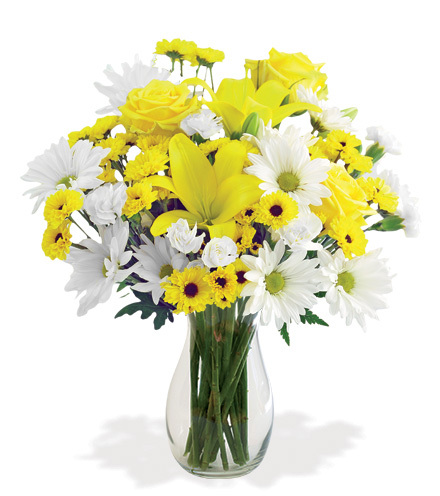 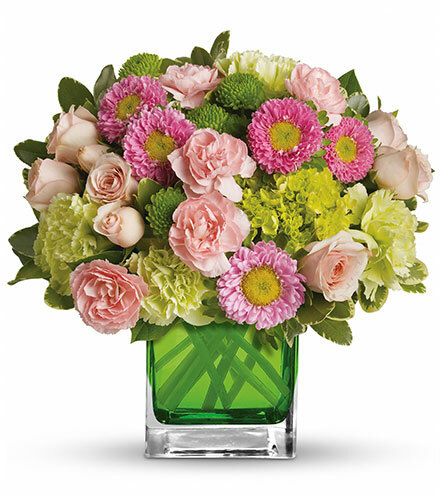 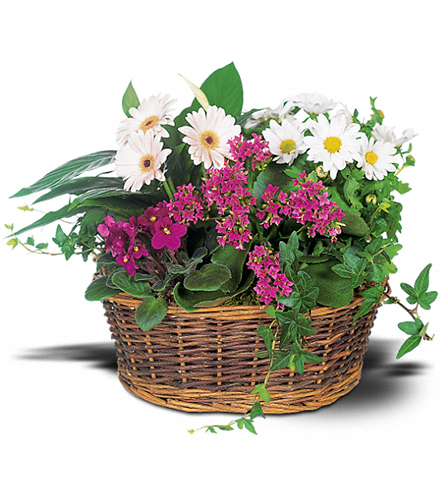 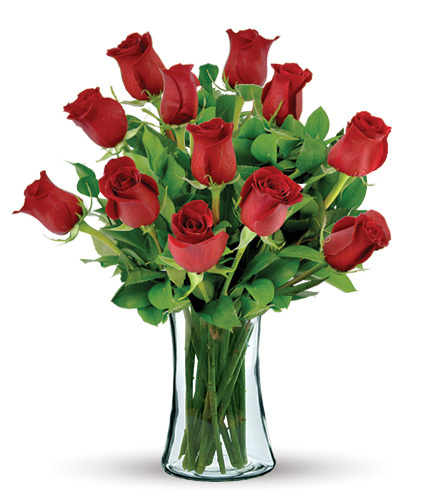 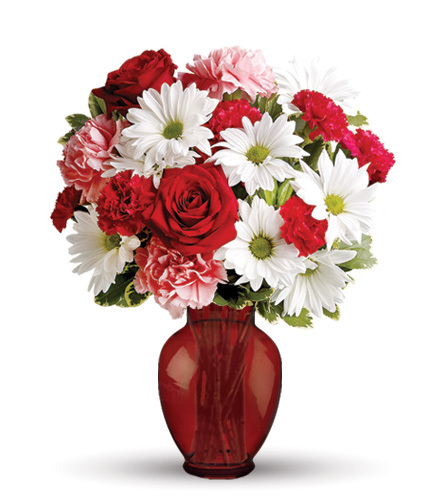 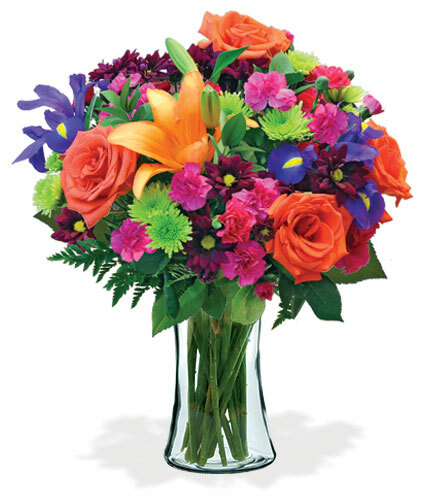 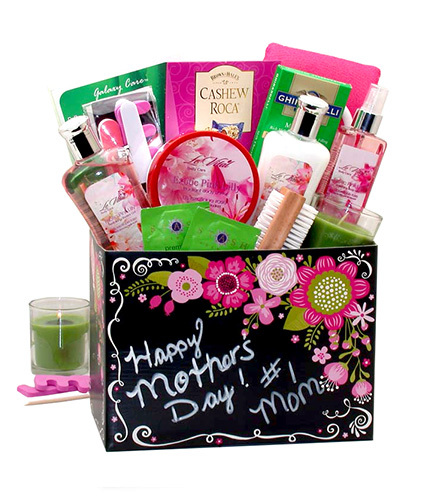 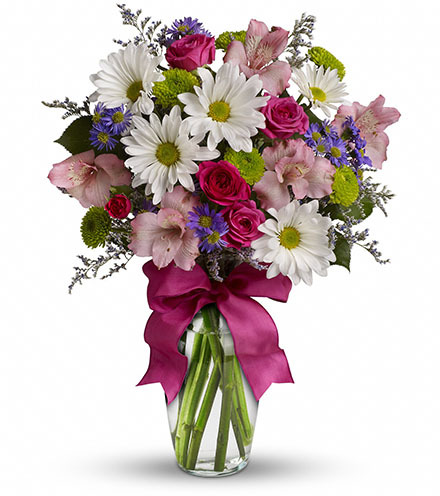 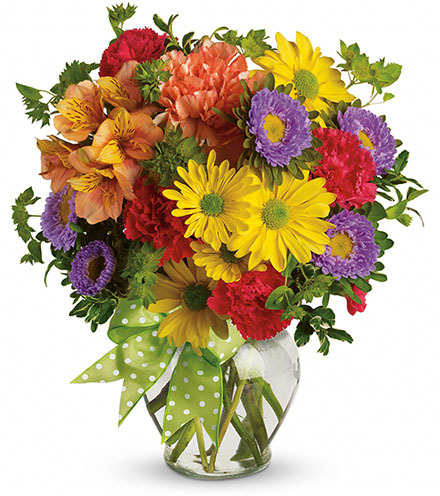 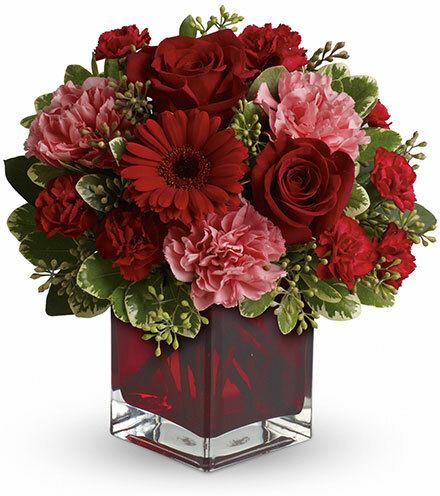 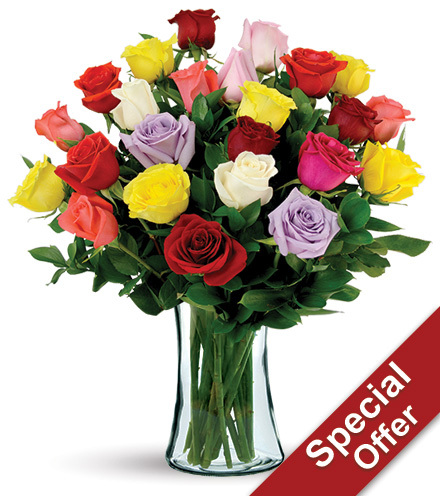 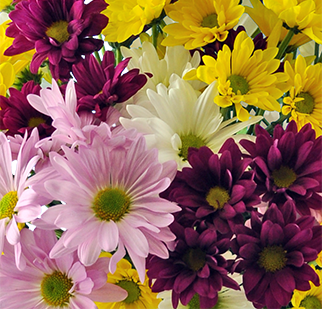 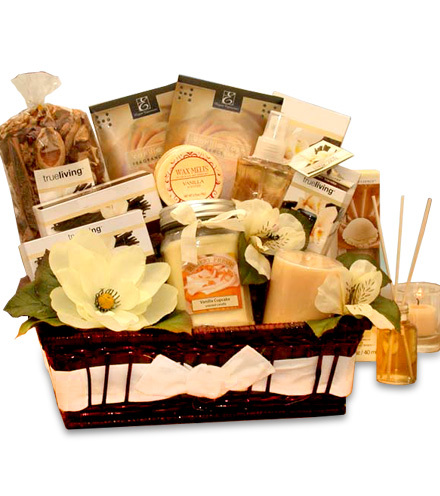 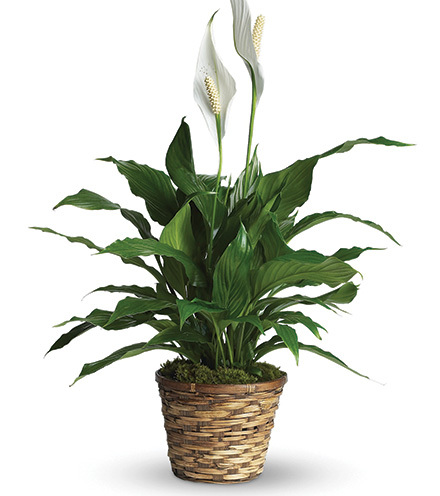 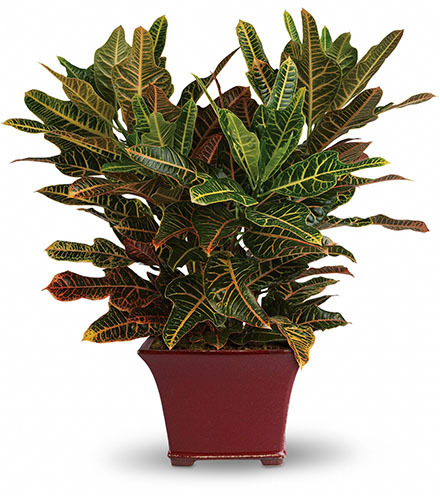 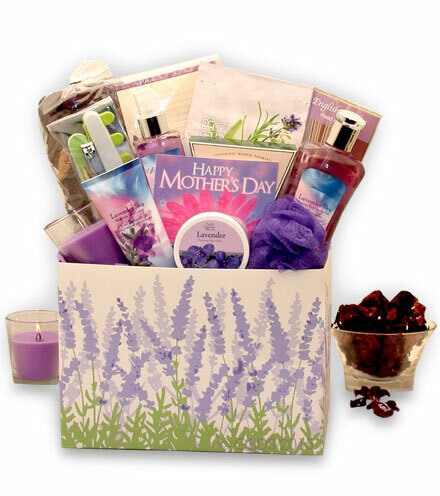 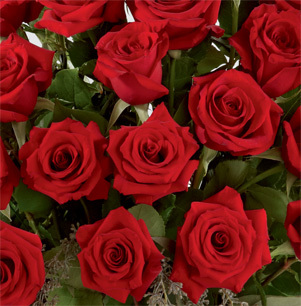 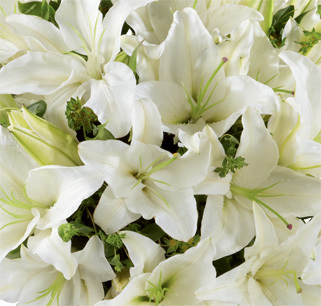 Look to the serenely beautiful FTD® Precious Peace™ Arrangement to touch everyone’s heart. 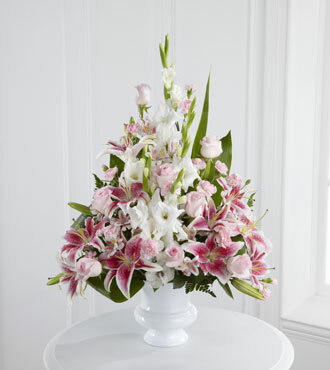 Brimming with bright pink Stargazer lilies and soft pink roses and spray roses, mini carnations, Peruvian lilies and gladiolus, accented with aspidistra leaves and leatherleaf ferns in a white pedestal urn, this exquisite arrangement will uplift those in attendance. 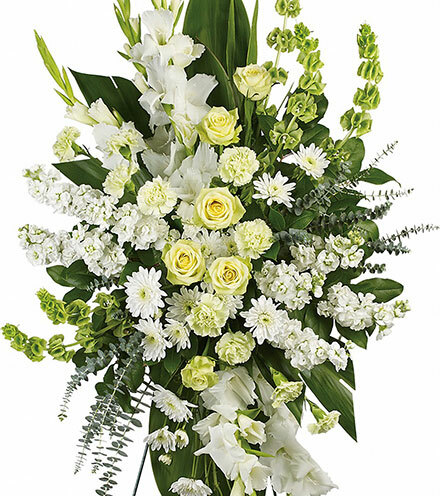 Hand arranged by our floral experts, this traditional triangle bouquet showcases flowers which represent sincerity, love, grace and sympathy, fitting for a floral gift to send to a family member’s home or for an intimate memorial service.